ZAMBOANGA CITY TRAVEL GUIDE: DIY itinerary, Things to do, How To Get There, Hotels, Expenses and More! This Zamboanga City Budget Travel Guide will provide you with useful information on Zamboanga City's tourist spots and attractions, DIY itinerary, Things to do, How To Get There, Hotels in Zamboanga City, Budget and Expenses, contact details and More! Walk a few meters outside the airport and take a Canelar bound jeepney to the city proper. Fare is 7 pesos and travel time about 10 minutes. Take a Pasonanca bound jeepney from the city proper and get off at the Boy Scouts grounds. Fare is about 10 pesos and travel time is around 20 minutes. From the Boy Scouts grounds, hire a habal-habal that will take you to the park. Arrange with the driver for the fare, I paid 70 pesos for the whole trip. Take a ZCPM (Zamboanga City Public Market) bound jeepney and get off at the city center. Fare is around 10 pesos, travel time is 15-20 minutes. From the city center, take a tricycle to Pilar Street, and get off in front of the Satti Haus. Fare is 20 pesos. Take a jeepney bound for Canelar, then walk towards N.S. Valderosa St., they are located at the end of the street. From the city center, take a Camins bound jeepney, it will bring you to the gate of the airport. Fare is 7 pesos. Zamboanga City is indeed a majestic place and it is full of astonishing places to visit. The city is quite big and it would require you several days to really visit most of the famous tourist spots and attractions in Zamboanga City. You can find many places and do many things in Zamboanga City. For first-timers or even if you're going for a re-visit, I listed here some of the most popular attractions, tourist spots and things to do in "Asia's Latin City!". There’s a bucket of fun and adventure to do, but here is the first part my top 30 ways to enjoy your stay. There are a number of accommodations to choose from at the City center. From expensive hotels, to cheap inns and lodging houses. If you are on a tight budget (like me), I would recommend Casa Don Atilano Pension House. Notes: To get there, take a Canelar bound jeepney from the airport. Tell the driver to drop you at Atilano Compound along Mayor Jaldon Street. From the main road, walk a few meters to get inside the compound. Turn right at the corner and then turn left. There are 2 Atilano Pension Houses in the compound, look for the pension house with the word "Casa". Clean and spacious room. Toilet and bath is a bit small but clean. I highly recommend this hostel when you stay in Zamboanga City. Here's my suggested itinerary for a day tour in the City. If you have more time, you can visit other tourist spots such as Sta. Cruz Island, Yakan Weaving Center, Zamboanga Golf Course and Beach, Serenity Falls, Taluksangay Mosque and more. Click here for more tourist attractions in the city. 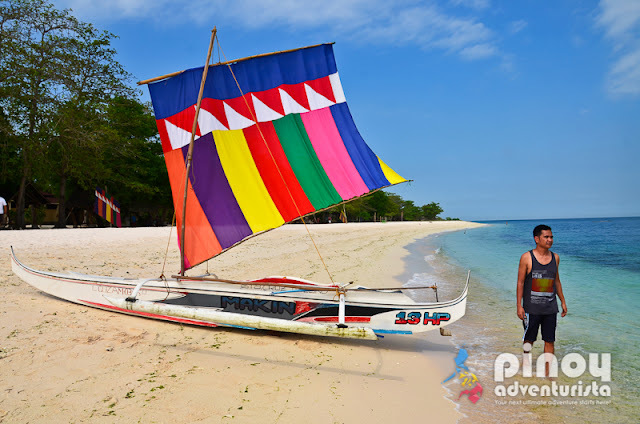 For the summary of travel expenses of this 2-day Basilan-Zamboanga City Solo Adventure, click here. For additional travel guide such as accommodations, things to do, where to eat and other tourist spots in Zamboanga City, click here. This is part of my Basilan and Zamboanga City solo trip last July 2-3, 2011. Known as "Asia's Latin City", I was able to see and experience the food, the people and the sights in this highly urbanized city in the south-western part of the Philippines. An experience totally different from the rest. To date, this is my 5th solo trip and my first time to set foot in Zamboanga peninsula. 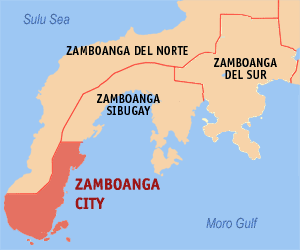 Bienvenidos Ciudad de Zamboanga! I hope this Zamboanga City Travel Guide help you plan your trip. Enjoy Zamboanga City! i really appreciate when people would include contact details. kaya makakatulong to sigurado. Once again, very informative! I'll be in zamboanga next month. Your blog is very helpful. Keep on blogging, mr. adventurista. This is a very informative post. We will be in Zamboanga next month and this is really helpful. THanks for posting this! salamat sa mga prinoprovide mong iteneraries and contacts. malaking tulong sa mga trips ko.. ang pag hanap lang ng mga mahahatak na kasama lagi ko problema haha. subukan ko next time maging backpacker. :) KUDOS! thanks for sharing..very informative..it will help us for our trip this coming Hermosa festival...muchisimas gracias!